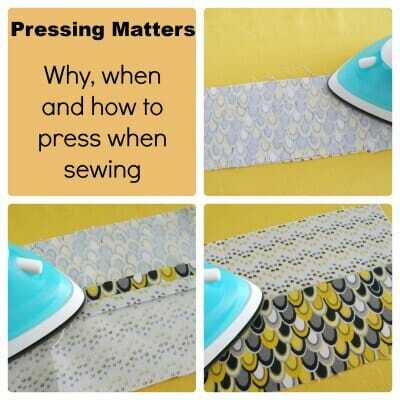 Pressing Matters – why press seams as you sew? You may have noticed that most sewing patterns include instructions along the way telling you to ‘Press'. It may be as simple as the word Press, or there may be further instruction – press seams open, press dart down, press to one side. Do you always press as you sew? Is it really necessary? Is there a ‘correct' way to do it? Let's take a look. Why press as we sew? Sometimes there are a series of complicated construction steps involved in making a garment. Seams can be tricky to all press at the end so are better pressed in the order they are sewn. Often seams will meet or cross and if one seam isn't correctly laid flat when it is over-sewn, it may be bulky or uncomfortable when worn or even cause puckering visible from the outside. And nothing shouts ‘home-made' more than a garment that hasn't been really well pressed during the sewing process. Ancient/Internet sewing wisdom tells us that the ‘correct' way to press our seams when sewing is a two step process. Pressing flat is said to ‘set' or ‘meld' the stitches (really?) but of course it does tend (I think) to make them shrink up just a very tiny bit as you steam and makes the thread disappear into the fabric. It also smooths the fabric flat and removes any tiny puckers. Do I always do it? No, not always, but on a very precious fabric or a very special garment I certainly would. It doesn't take a lot of extra time. So first press the seam flat to remove any little puckers. Then gently open the seam with your fingers and ‘finger press' the seam open without pulling and stretching it. then follow up by pressing the seam fully open and flat. Press from the wrong side first, then turn the fabric and press from the right side. Press as sewn – exactly as it says. Don't open or flatten the seam, just press along the seam exactly as you have sewn it. This ‘sets' the stitches into the fabric. Can remove any tiny puckers that might have occurred under the stitching line and can correct any slight tension issues. Press seam open – start by pressing as sewn to remove tiny puckers and set your stitches. 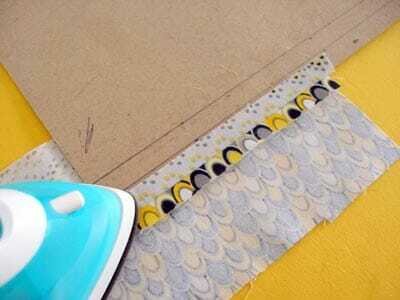 Then open the seam with your fingers, finger press, use the tip of your iron to start and then finish with the flat of your iron to press seams flat. Remember to ‘press' the seam with an up and down motion, not iron it vigorously back and forth just to avoid any unwanted stretching. Press to one side -more often using in quilting than garment sewing. Instead of pressing the seam open, press both sides of the seam to one side on the wrong side. If using two different fabrics, it is generally recommended to press to the side of the darker fabric to prevent show through from the front. Pressing darts – darts should always be pressed before moving on to the next step. Your pattern instructions will usually tell you in which direction to press your darts, but there are also general guidelines that horizontal darts such as bust darts should be pressed down and vertical darts should be pressed towards the center. Always start at the broad end of the dart and press towards the point and do be aware that darts are added to fabric to give it shaping, so allow your iron to shape the fabric as you press. 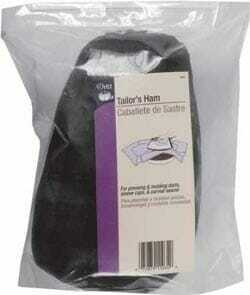 The use of a pressing ham is useful to get the fabric to curve to the shape of your body. Use a finely woven cotton, or silk organza makes a lovely Press Cloth and has the benefit that you can see through to the garment underneath. Any fabric that can take a high heat may be suitable. Needless to say it should always be clean so don't let it fall off the ironing board onto the floor where your muddy cat can sleep on it (oops). Why use a press cloth? Some fabrics can develop a shine when you press them. Especially wool and suiting fabrics. Protects fabric from any scale, spitting or deposits from your iron. Prevents the iron sticking to your fabric. Will provide some protection to the fabric if you inadvertently set the iron to high and start to iron before you notice. Pressing Ham – will usually have one side on cotton and one side in wool. Its shape provides all sorts and sizes of curves which you can use for pressing curved seams such as over darts, shoulders and sleeve caps, princess seams, hips on skirts and dresses. If you bind curved seam edges such as necklines and arm holes, then pressing these bound curves over a ham also creates a very smooth finish. Sleeve roll – not just for sleeves! Push up inside your sleeve as you press to prevent unwanted creases and also use to press regular seams open on delicate or thin fabrics to prevent show through on the right side. Also good for skinny pants legs and any small curved seams, shoulders, sleeve caps, cuffs and gathers. pay attention to pattern instructions – should you press a seam open or to one side? I have lines drawn on the edges of my pressing card at half inch, one inch and 5/8th of an inch as this helps me press a nice neat and even seam for hemlines etc. Do you have any favorite pressing tools or tips? What do you think about the two step seam press – do you press flat first or is the whole ‘melding stitches' a bit too far-fetched for you? 17 Responses to Pressing Matters – why press seams as you sew? Your great tips and good humor are much appreciated by this novice. Thanks! I love the effect of pressing, so I do it. Not my fave part of sewing, mind you. Most of my sewing is costuming, and not a lot of knits–but I love the starch on jersey knits to kill the roll! I may even make some projects with knit fabrics. Thank you! Excellent article. I am a presser. And no love the clean, crisp appearance ironing or pressing gives to my projects. One of my favorite pressing tools is my clapper. It helps to set the creases made while pressing. Best tool ever. Thanks for the info on the press as seen thing. I have run across that one a time or two and couldn’t find any information about it. I have said for years, “…my iron is used the most when I am sewing. All other ironing is done, on demand.” That is why my ironing board is always set up in my sewing room. Great post. I never have the patience for pressing and it always shows! You are so right! It makes it so much worse if you try to skip this step. Thanks for the reminder to do things the right way! So important and such a great post. I LOVED that show. Couldn’t get it here but I watched it on YouTube – I can’t believe the pressure they were all under to sew in such a short deadline. Ann was amazing and it just shows how experience really counts when it comes to sewing. As I just hit my 1 year since I started sewing, I have a long way to go and so much still to learn, but I’m loving it! The cardboard tip,is a great idea, thanks! Such good tips. I’m just learning to sew and can use all the help I can get!! I agree pressing is very important! Thank you for a good tutorial! Very thorough and very helpful! Pinned. Oh pressing, how I hate it. I think I’ll be a better presser once I have a sewing studio where my ironing board never has to be put away!